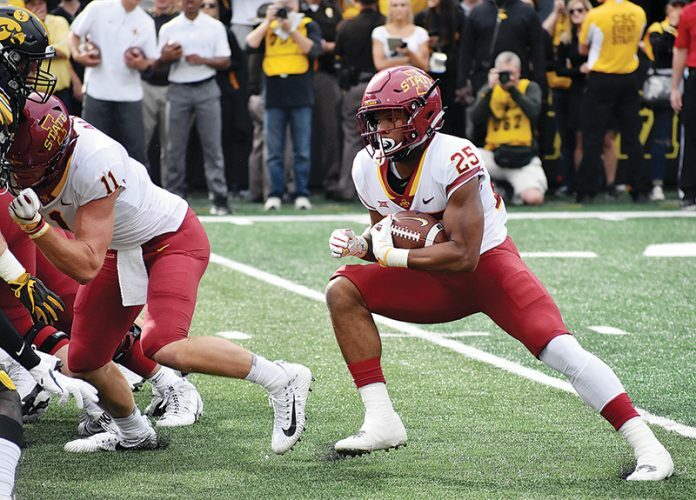 AMES — Iowa State’s rise to the top of the Big 12 standings has been one of the nation’s biggest surprises this fall. The Cyclones can thank their vastly improved defense. No. 14 Iowa State (6-2, 4-1 Big 12) has the league’s top-rated defense through five games, allowing just 13.6 points in league outings and holding each of its opponents to at least 10 points below their season average. Iowa State put forth one of the best defensive efforts in school history last weekend, holding TCU’s offense scoreless in a 14-7 win. 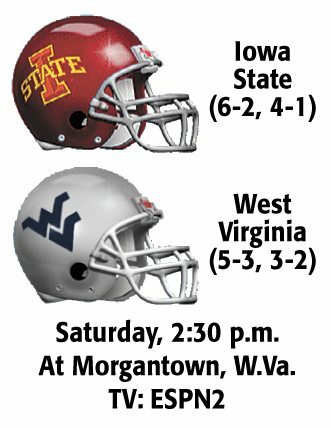 The Cyclones, who are in a four-way tie for first place in the Big 12, will face another potent offense during a visit to West Virginia on Saturday. 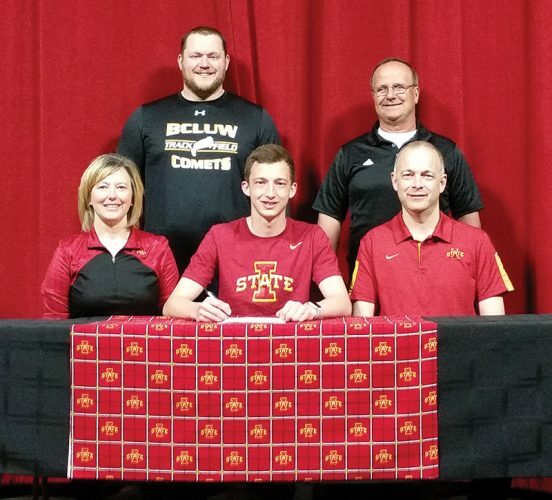 Hardly anyone outside of Iowa State’s football facility thought the Cyclones would be this good on that side of the ball. The Cyclones ranked just 86th nationally in scoring defense in 2016, allowing 31.3 points a game, and their start to 2017 didn’t suggest they had improved all that much. Iowa State gave up 24 points to Northern Iowa of the FCS and 44 in a loss at home to Iowa. But after allowing 14 points in the second quarter at Akron, the Cyclones defense found itself. Iowa State has allowed just two offensive touchdowns — and one was by Texas Tech after the Red Raiders returned an interception to the Iowa State 7-yard line — in its last three games. TCU’s only points came on a kickoff return, which allowed the Cyclones to win despite being shut out in the second half. “I was never worried about my defense. My defense always holds it down,” sophomore running back David Montgomery said. Perhaps the biggest area of improvement for the Cyclones has come at linebacker. Even though converted quarterback Joel Lanning (second in the Big 12 with 87 tackles) has gotten most of the attention, all three starters are playing at an all-conference clip. Marcel Spears, a sophomore, was named the Big 12’s defensive player of the week twice in a row after sealing his team’s last two wins with interceptions in the fourth quarter. Spears ranks fourth in the Big 12 with 70 total tackles. Junior Willie Harvey is having his best season with 49 tackles, six tackles for loss, three sacks, a forced fumble, an interception and three pass breakups. But the success of the unit hasn’t been a surprise for Campbell, who expected his linebackers to take a leap forward in 2017 — in part because he expected the linemen in front of them to improve as well.